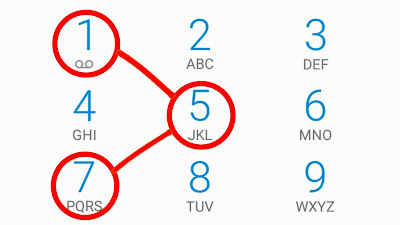 We all love our Smartphones because of how useful they are but there are some things you probably never know about them in spite of using them every day In this blog, we will go discuss some secret dialer codes that you can access by typing them right in the same way you would type any other phone number and these may be referred to places like MMI ( Man-Machine-Interface ) codes or USSD ( Unstructured Supplementary Service Data ) codes or possibly Integration codes. There are a lot of different names but no matter what kind of phone you have, we are going to discuss some codes for you. Let's get into the secret codes. 1. So the first set of codes are for those who have a running iOS and like I mentioned you just want just open the dialing interface and the best and the most interesting one probably the so-called the Field Test Mode which can be accessed by entering the following code *3001#12345#* and then hit on call and this will open a menu with all source of technical data about your phone that is probably not very useful to you but still cool to see and one cool thing you can check out is by going to the LTE and then Serving Cell Measure menu and looking for the thing called rsrp0 which is actually the actual signal strength measured in decimals that your phone is receiving which will be between -40 and -130 where -40 is the best possible. So, this is actual signal strength not the number bars its pretty cool. 2. Another new one is *#06# and this will show you the IMEI of your phone. This is a unique identifier that every phone has and you can actually find this in settings but this makes you cool when you do in this way. 3. Another code similar to the last one *#07# and then hit call which brings a menu full of legal and regulatory information and again I think this menu is accessible from the settings but it's still cool to do in this way. 4. Next one is pretty much interesting which is *#5005*7672# this one will show you the phone number that is associated with your self-carrier and is actually the number that all of your text messages are sent to before being forwarded to the person you actually sent it to. So its utterly useless but it's still cool and kind of some behind the scenes look it helps cellular networks operate. 5. Finally, we have a few codes for getting info from your self-carrier and this one will show you the actual amount of data you have used and have left not just what your phone tells you. The code will either be *3282# OR #3282 depending on what self-carrier you have. When you use this one you should receive a text a few seconds later with the info.